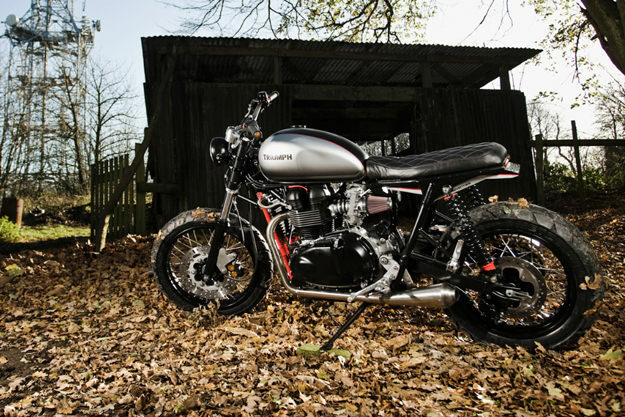 Spirit of the Seventies is the complete package when it comes to custom motorcycle builders: strong technical skills, a good network of suppliers to supplement those skills, and an instinctive understanding of what makes a great-looking bike. This is the S6 “Dirt Twin”, a commission build that took five months. 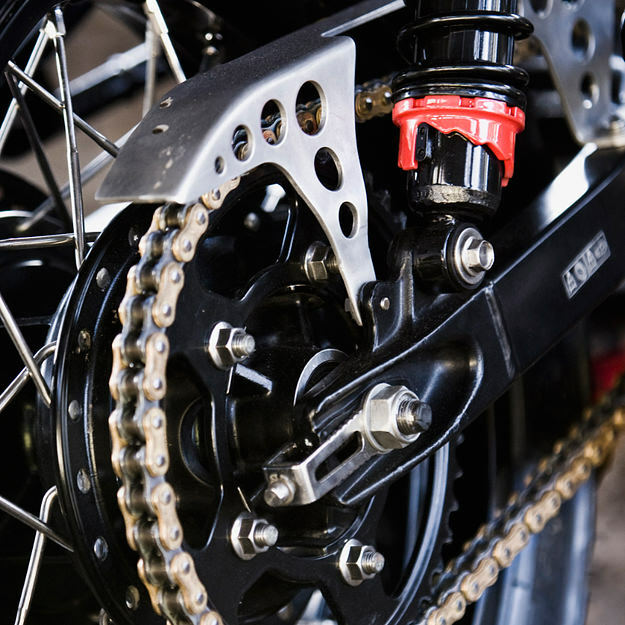 The client, Spencer Burton, had a strong vision of what he wanted: he’d just sold his MV Agusta and was looking for something completely different. 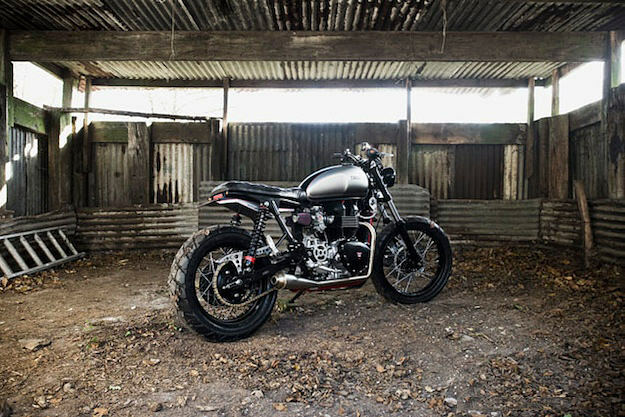 The Sevenoaks-based company picked up the brief, and designer Kevin Taggart set to work—using a 2006 Triumph Scrambler as the starting point. 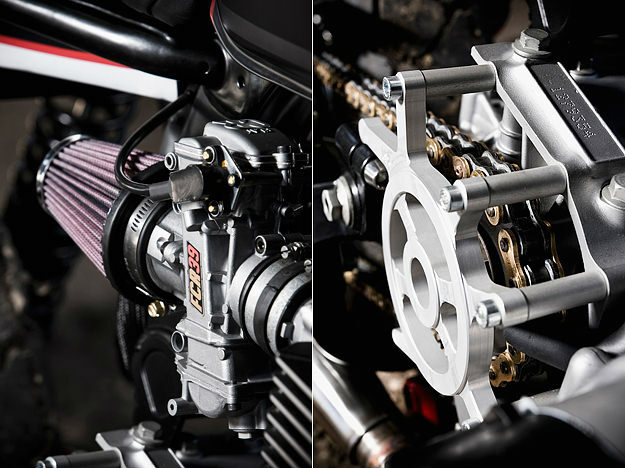 The engine was sent to the renowned Triumph tuner Bob Farnham. “He’s based just down the road from us and has been rebuilding these engines for over ten years. He knows just how to get the best out of them.” A beautifully hidden balancer shaft was incorporated following Bob’s advice. The rest of the Scrambler was stripped and blasted, or powder coated. 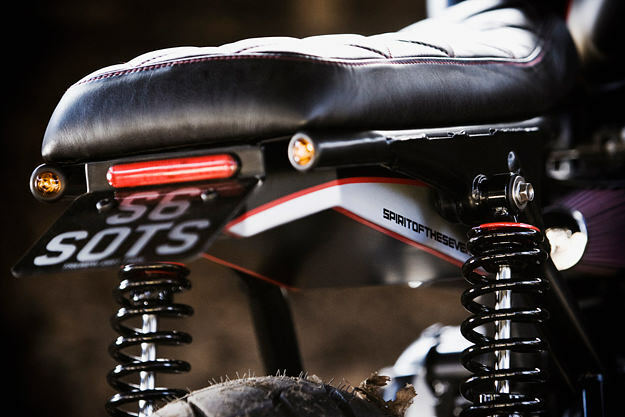 The one-off stainless exhaust was made by flat track specialists Co-Built, and designed to follow the frame rails as snugly as possible. 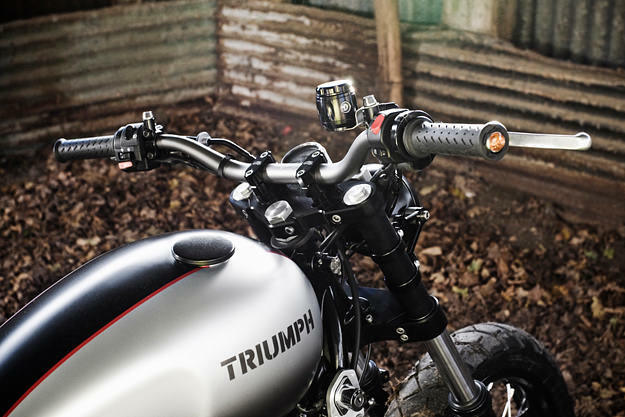 The Triumph Scrambler is now covered in bespoke fabricated parts, spacers and brackets, and the frame has been shortened at the rear. “The stance of the bike was critical and we spent time ensuring that we got it right,” says Tim. To my eyes they’ve got it exactly right—this looks like the perfect custom machine for back-road twisties, with an occasional excursion onto the dirt when the mood strikes.